Shanghai World of Packaging (swop) is a leading trade fair for the processing and packaging industry targeted at Asia. It is due to take place 7-10 November 2017 at Shanghai New International Expo Center. The current number of companies confirmed to exhibit at swop 2017 is a 50% increase compared with the previous show. It’s estimated nearly 1,000 exhibitors from packaging and related process industry will exhibit at swop, including MULTIVAC, HP, RPC, AOKI, HOARUF and other leading domestic and overseas packaging related enterprises will present their latest machines, technology and services during this year’s event. Since becoming part of the interpack alliance in 2016, swop has gained advantages from having access to the worldwide network and resources of the trade fair that enjoys world-leader status in the processing and packaging industry. swop has gained significant support from a large number of high-profile worldwide processing and packaging industry associations, including Flexible Packaging Europe (FPE), Verband Deutscher Maschinen und Anlagenbau (VDMA), and UCIMA (Italian Packaging Machinery Manufacturers’ Association). swop provides a platform for addressing organisations in key emerging markets within sectors such as food, beverage, confectionery, pharmaceutics, cosmetics, and non-food consumer goods. The event is unique in China, as it is the only one that covers the complete supply chain. No other exhibition in the country offers bespoke coverage of all sectors of the packaging industry, showcasing innovative solutions and a wide range of materials. Businesses involved with processing and packaging machinery will have multiple opportunities for development, sales and new partnerships, as well as being introduced to the latest industry technologies. swop 2017 will give visitors both an insight into next-generation packaging industry trends and an instant supply and demand business opportunity. This event is not to be missed for manufacturers of processing and packaging solutions. This year’s event will see the launch of the SAVE FOOD initiative aimed at cutting the amount of food wasted globally. The initiative is a collaboration between the Food and Agriculture Organization of the United Nations (FAO) and United Nations Environment Programme (UNEP), and Messe Düsseldorf. The initiative promotes collaboration between organisations and businesses throughout the value chain, ‘from field to fork’, to work out solutions at all levels that help contribute to the overall aim. The fact that more than 850 leading international organisations, businesses and research institutes are taking part shows just how seriously the international community is taking the issue of food waste. Companies taking part include Siemens, Tetra Pak, Dupont, Berry Global, Danwell Equipment, Printpack, and BOSCH. swop 2017 sees SAVE FOOD being introduced to China, with a forum and featured area designated to it. Attendees from food, beverage, confectionery and bakery industries but especially meat, fresh food, fruit, vegetable, agricultural products and liquid food will have the chance to learn more about the initiative and what they can do to play their part. Solutions will be discussed on prolonging food shelf-life, and how to stop food being damaged or spoiled during transit. At the inaugural swop, there was a designated area for ‘Packaging Materials and Products’ in cooperation with non-profit organisation ‘Packaging Family’, which has more than 600 members from the global industry. At this year’s event, ‘FMCG Future Zone’ will be triple the size and have a distinctive theme. More than 600 established packaging manufacturers are expected to attend, spanning a diverse range of materials such as adhesives, metals, plastics, glass, paper, printing, and wood. swop gives manufacturers a platform to showcase their high-quality products for users in the fast-moving consumer goods sector, improving brand competitiveness through a cross-boundary exchange of ideas, products and solutions. Alongside this, a FMCG forum will invite the discussion between attendees on burning issues across markets that include food, drinks, cosmetics, and pharmaceuticals. Packaging innovations and future developments will be the themes of the ‘innovationparc’ area. Intelligent devices and solutions will be showcased for the complete supply chain. Exhibitors and attendees will have an opportunity to explore future possibilities in the packaging industry for cost efficiencies and minimsing carbon footprint. swop 2017 will host the ‘components’ section, which originally ran in 2014 in parallel with Interpack. Its target is technology companies offering motors and drives, sensors, control, handling, software, and communications. In addition, it will feature manufacturers of automated systems for packaging machines. 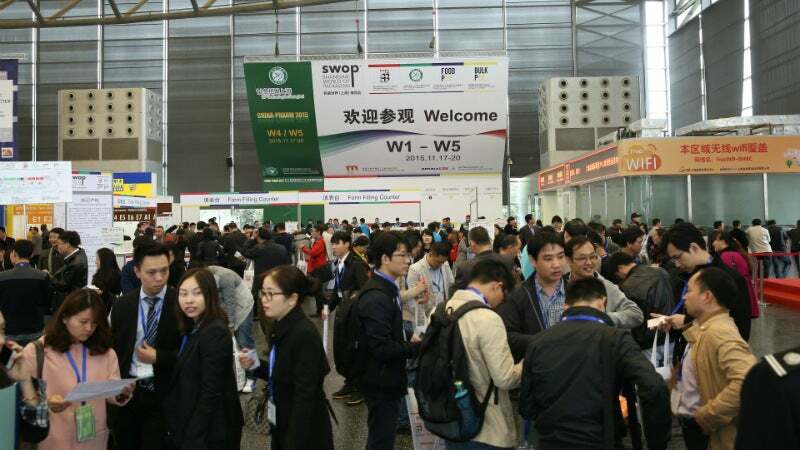 This year, approximately 30,000 visitors from all over the world are expected to attend swop, including those working in end-user industries, specialising in areas such as decision-making, packaging, engineering, and purchasing. Companies already registered for swop 2017 include Pepsi, Unilever, Johnsons, Nivea, and other global 500 companies. To find out more, use the form on this page to send an enquiry. swop 2017 has attracted the greatest amount of attention from exhibitors since its inauguration. "swop is a very important part of our efforts to adapt to a more and more demanding clientele in China." swop is the 'must attend' event in the processing and packaging industry. From 7-10 November at the Shanghai New International Expo Centre (SNIEC), swop 2017 will see a large number of internationally advanced and innovative processing and packaging products for the confectionery and bakery sectors will be showcased. If you had to make a list of the things that are most important for a product's success, packaging would undoubtedly be near the top. The leading processing and packaging trade fair targeting not only China but the whole Asian region, Shanghai World of Packaging (swop) will be held at the Shanghai New International Expo Center on 7-10 November 2017.